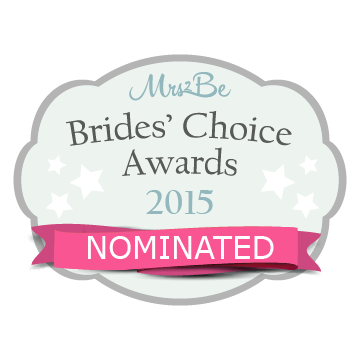 A little late posting this, but I was thrilled to be nominated for the Brides’ Choice Award 2015. 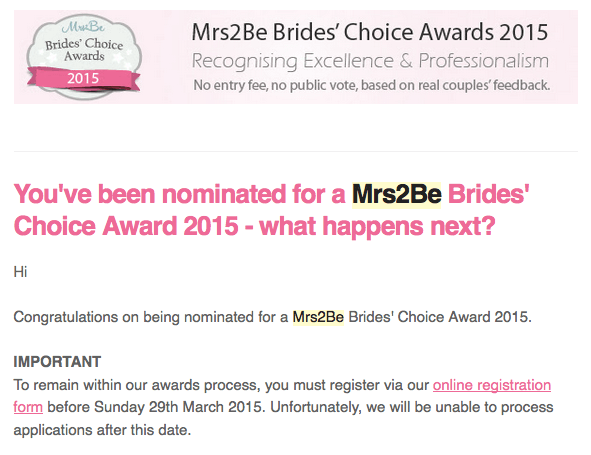 In order to actually participate in the awards I would have had to register my participation. As I was so busy, I didn’t get around to it this year. But I would like to thank anyone who voted for me. It means a lot.